A naked, bloody, seven-year-old girl robs a bank in Stockholm, Sweden. No one in the bank dares to do anything fearing the girl may be harmed even more. Leona Lindberg becomes responsible for the investigation. The most important component in the novel is the main character Leona Lindberg. Her personality and actions are what make the story interesting and as a reader you want to get to know her better. With a cliffhanger ending I am sure we will get that opportunity. As a child Leona had problems fitting into society’s norms, but as an adult she has done her best to adapt to her role as wife, mother and police, but with mixed results. It is difficult for her to relate to other people and her actions can often be questioned, but she does what she thinks needs to be done, regardless of the consequences. She reminds me of the female police in the TV-series The Bridge and I also come to think of Lisbeth Salander. Leona is definitely a memorable character! The novel is a breath of fresh air and it has several unexpected twists, which makes it impossible to put down. 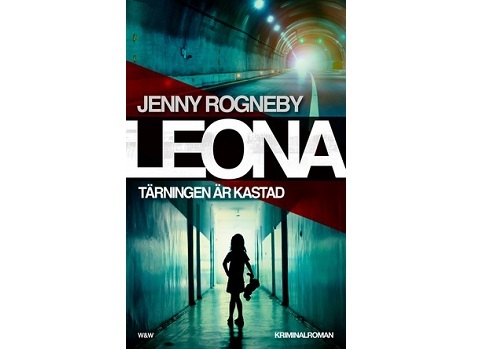 It is Jenny Rogneby’s debut novel and she is an investigator just like Leona. It makes you wonder how much of her own experiences she has used in the novel. Now the question is – when will the sequel be published?